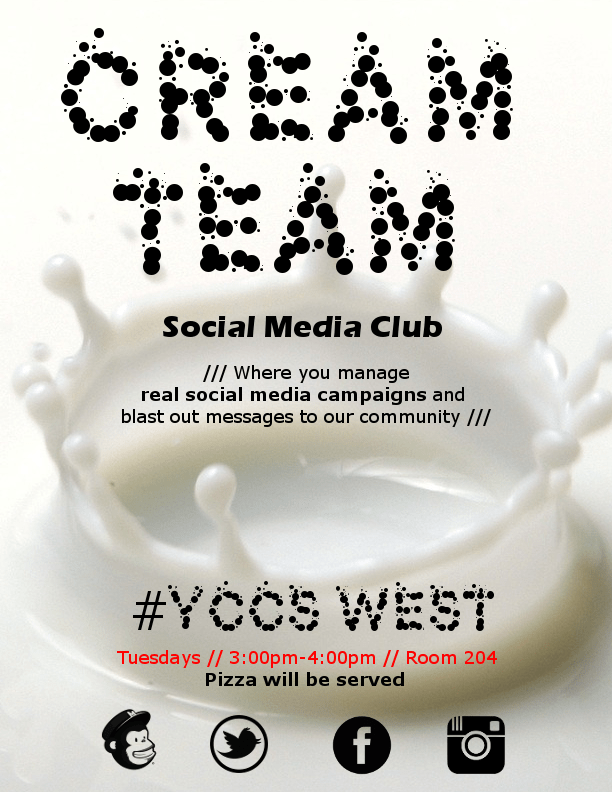 Cream Team is our social media club, which takes on a wide variety of projects from photography and video to music and writing. Everything we do ends up on social media so we work as a team to blast it out. If you’re good at media or just want to try it, stop on by. We meet on Tuesdays at 3PM-4PM on the 3rd Floor in 300C and 300D + Collaboration room. Winter Break is over. It’s time to come back to school!